On 14th December 2015 the House of Lords considered the Government’s Welfare Reform and Work Bill in its third day of Committee. 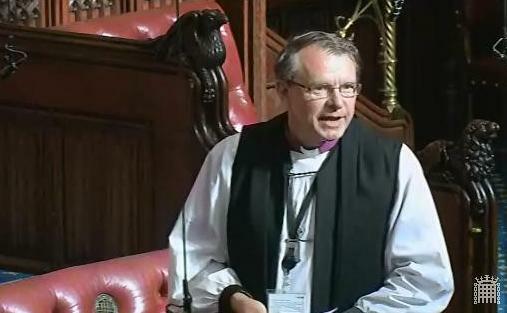 The Bishop of Durham, Rt Revd Paul Butler, spoke in support of amendments that would require the government to provide a more thorough reporting on the take-up of apprenticeships. The amendments were withdrawn after debate. which is simply the figure of 3 million, that does not give the information about the types of apprenticeship that there are. In the light of the previous comments, I add that in two particular manufacturing industries I went to there were fantastic apprenticeships with brilliant young men, but no young women at all. I am told that there have not been any. We need this kind of information to ensure that apprenticeships are of the quality and standard needed. Because of the lateness of the hour, I will stop at that. Baroness Evans of Bowes Park: [extract]..In relation to Amendments 68 and 68A, tabled by the noble Baronesses, Lady Sherlock, Lady Manzoor, and Lady Nye, and the noble Lords, Lord McKenzie, and Lord Young, I can reassure noble Lords that the Government already report on apprenticeship figures by region, age, gender, ethnicity, disability, sector, qualification and level as part of their quarterly statistical first release. We will continue to do this and I can assure the noble Baroness that we will report a breakdown of figures on age and disability. We also publish information on the courses in which apprentices are enrolled in each academic year as part of our national aims report and we will continue to do this as part of the annual reporting requirement set out in the Bill.